The combination of the best of the cities Delhi, Agra and Jaipur, has beckoned travelers from near and far alike since ages. The Golden Triangle is one of the most popular and pulsating tourist circuit in the world. The destinations for the holidays are well connected with surface transport are safe and scintillating at the same time. Here presenting the itinerary of the Golden Triangle tour destinations, the holiday you will cherish for the rest of your life. Capital of the country - Delhi owing to its rich cultural heritage. The metropolis has a lot to offer including the fascinating fusion of the east and the west. Delhi tour will bring to you the variety, vivacity and vibrancy of Delhi, visit the mesmerizing monuments, pray piously, party and shop till you drop. Tourist can visit Gandhi Memorial and the Rajghat, dignified buildings of the Parliament House, India Gate, Red Fort, Jama Masjid, Qutab Minar, Humayuns tomb, Jantar Mantar, Bahai or Lotus Temple and the Purana Quila. Amidst the hustle bustle of the capital city these souls stirring spots are welcoming the tourists throughout the year. Golden Triangle tour will take you to the amazing city of Agra in Uttarpradesh.On the way to Agra from Delhi is the tomb of Akbar at Sikandra , the monument is surrounded by the gorgeous green gardens has an entry through a gigantic gateway called the Buland Darwaza. 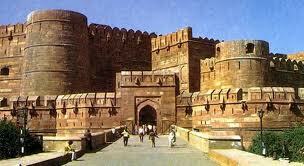 Akbar constructed this gateway in Fatehpur Sikri after the successful invasion of Gujarat. A little further the fabulous city of Fatehpur Sikri will welcome you with its landmarks namely, the Jama Masjid, Buland Darwaza, Diwan-I-Khas, the Diwan-I-Aam and the tomb of Sheikh Salim Chisti. Each landmark seems to tell a tale of the life and times of Badshah Akbar. You will travel with the past, in the amazing city of Agra with surrounding beauty of the architecture in and around of Agra. Welcome to the first wonders of the World ! Taj mahal for those of you who are romantic at heart, this destination is unparalleled; the synonym of India, the magnificent architecture and the aesthetic beauty in White Makrana marble invites everyone from the world over for an experience of a lifetime. Historically, it is the mausoleum of the mughal Empress Mumtaz Mahal and a love tribute of her husband King shahjahan to his wife. It is symbol of world famous mughal architecture also and a contribution to the world heritage. This pristine beauty took long 22 years of effort by 20,000 people.The description of the magnificence of the elegy becomes wordless both at dawn and dusk and if seen glowing in the light of the full moon. The flowing Jamuna right behind the palatial monument adds to its beauty. The tourists flock to the spot to experience the soul stirring romance that still lingers in the air around the Crown of India. At the last of golden triangle tour tourist will come to come to the joyous destination of Jaipur the capital city of royal Rajasthan. The city in pink is symbolic of the hospitality that reigned in the Rajput culture. 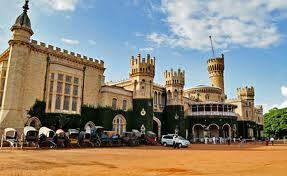 Tourist can experience the royal holiday at India with the best of forts and palaces around. Hawa Mahal or the Palace of Wind, Amber fort , City Palace, Jantar Mantar, Nahargarh Fort, Vidhyadhar Garden etc. Jaipur forms an enticing destination to be explored. 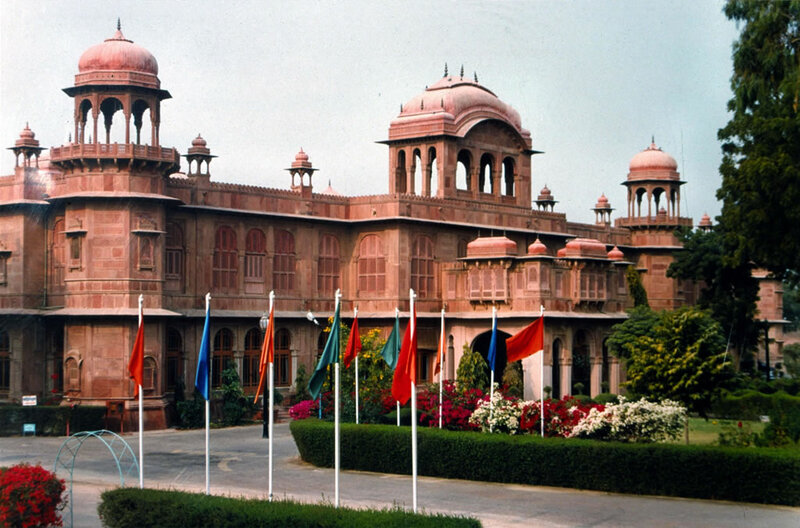 Jaipur along with many incredible legacies that slowly get unfold as you explore the pink city. 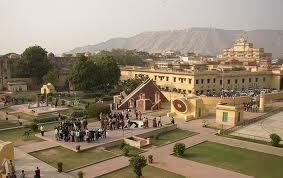 Jaipur was amongst the first planned cities in India in 1727 , founded by Sawai Jai Singh II. It is a city where the royals still live in palaces.